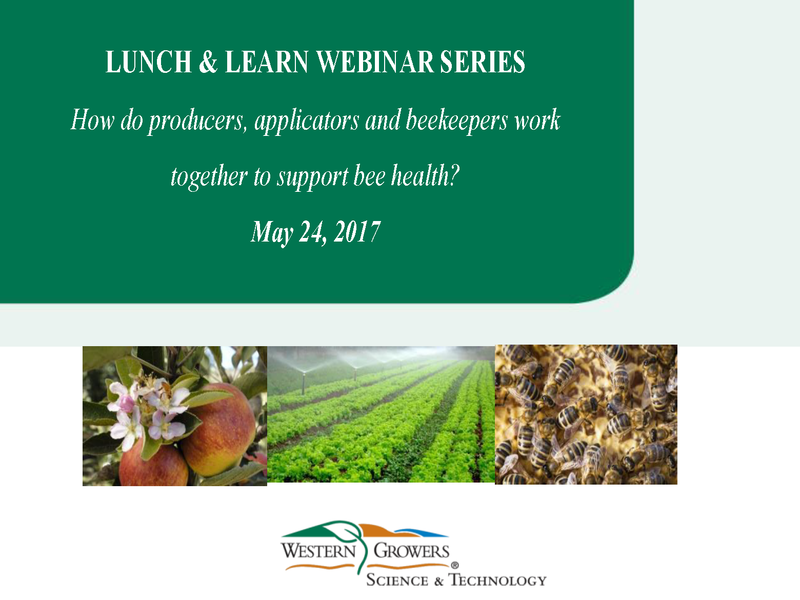 Lunch & Learn Webinar: How are producers, applicators and beekeepers working together? Honey bees play a key role in the pollination of several specialty crops. Colony numbers have changed over time because of several challenges, including: parasites, diseases, less genetic diversity, lack of forage diversity, poor bee nutrition, exposure to pesticides and migratory stresses.